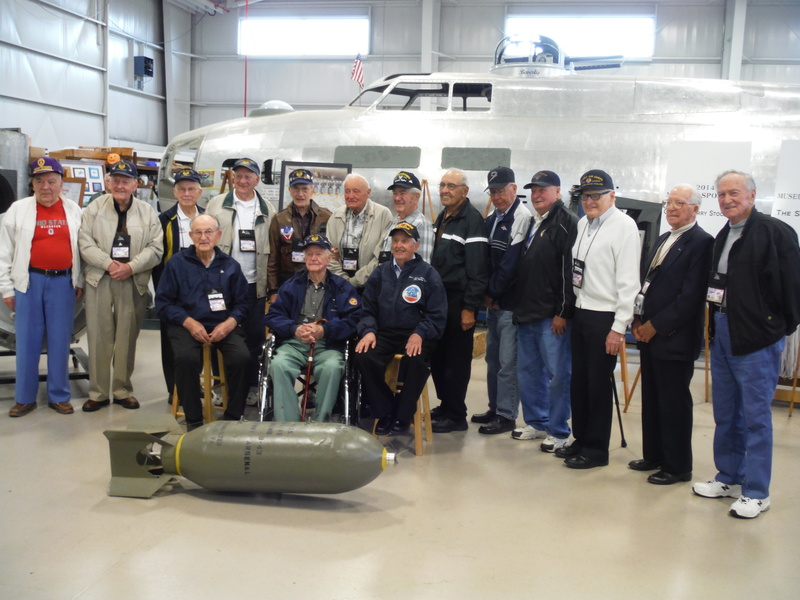 The 384th Bomb Group held their 2014 reunion this past week in Dayton, Ohio. I was very proud to attend and meet a wonderful group of veterans that served with the 384th at Grafton Underwood, England. Of course, meeting and talking to the veterans and hearing their stories of combat and life in the 384th was the top highlight of the event. Other highlights were touring the restoration and Presidential hangars of the National Museum of the Air Force, and attending a dinner at the museum Friday night. On Saturday, we were treated to a tour of a new B-17 being built in Urbana, Ohio and a wonderful banquet on Saturday night. Speakers on Saturday night were Richard Peaslee, son of the first 384th Bomb Group Commander, Budd Peaslee; Brigadier General J. Kemp McLaughlin; and keynote speaker, Lt. General C. D. Moore. 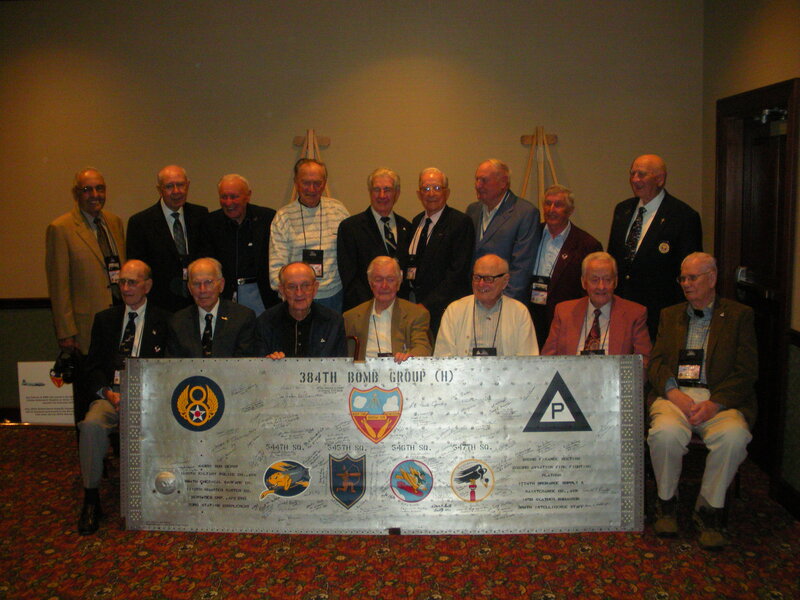 Four 384th veterans signed the wing panel during the reunion. Lawrence W. “Red” Gerbig wasn’t able to stay for the entire reunion and signed on Friday. Saturday night during the banquet, Donald Bean, Leonard R. Neimeic, and Warren Tessmer signed. By the end of the reunion, the wing panel contained 99 signatures. On a sad note, for Lawrence Gerbig the 2014 reunion would be his final mission. He returned home on Saturday, and told his family what a wonderful time he had at the reunion. He passed away unexpectedly on Sunday morning. Rest in peace, Mr. Gerbig. The war is finally over. I’ll try to add identifications and more pictures soon. By thearrowheadclub in 384th Bomb Group, 384th Bomb Group Wing Panel Signing Project on October 22, 2014 .